Get $100 when you return your leased Volkswagen through Sutliff Volkswagen in Harrisburg, PA! Confused on where to turn in your leased VW? Not sure what to do next? Return your leased Volkswagen through Sutliff Volkswagen, and we’ll cut you a check for $100. It doesn’t matter which dealership you leased from, Sutliff VW can handle all of your Pennsylvania Volkswagen lease return needs, whether you want to simply turn in your lease or keep your VW and buy out the lease. 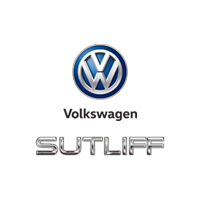 Looking for information on Sutliff Volkswagen auto financing options? Visit our finance department. We have some of the best Volkswagen lease deals in PA!